Red eyes in photos? Here are answers to frequently asked questions about this phenomenon to help you fix red eye problems and create frame-worthy photographs of your friends, family and pets! Why Do Eyes Look Red In Photos? The appearance of red eyes in pictures, known as the "red-eye effect," occurs when a camera captures light reflecting from the retina at the back of your subject's eye when a flash is used at night and in dim lighting. to the brain to create visual images. In fact, the eye works very similar to the way a camera does. Light enters the clear covering of the eye, like the glass of a camera lens, and the pupil controls the amount of light that travels through the eye, like a camera aperture. The retina captures the incoming light and sends a record of it to the brain, like camera film. When a camera flash goes off, the pupils of your subject's eyes don't have time to constrict to reduce the amount of light entering their eyes. Therefore, a large burst of light reaches their retinas, reflects back, and is captured on film. , a layer of connective tissue at the back of the eye that nourishes the retina and gives it its normal red color. Does Turning Off The Flash Reduce Red Eyes? Yes, if there is enough light in the room to take a picture without using the flash, you'll avoid red eyes in photos. How Can You Prevent Red Eyes In Photos? Make the room brighter. The darker the environment, the more dilated the subject's pupils become, which increases the likelihood of red-eye effects in photos. Making the room less dim by turning on more lights can help eliminate red eyes. Turn on the anti-red-eye function. Most modern cameras have this feature. Red-eye reduction functions emit short flashes of light in quick succession before the camera actually takes the picture. The burst of light beforehand makes the subject's pupils constrict, and there's not enough time between flashes for them to re-dilate, thereby reducing the red-eye effect in photos. Move the flash and the lens further apart. This method doesn't work for internal-flash cameras, but if you have an SLR (single lens reflex) camera, use an external flash that connects to your camera. Moving the flash further away from the camera body will prevent light reflecting from your subject's pupils from entering the lens (it will reflect back toward the flash, not the lens), preventing the red eye problem. Make sure your subjects aren't drunk! We all know that people who have had one (or three) too many alcoholic drinks have slower reaction times. But did you know it also affects the response time of our eyes? Red eye happens more often when you're intoxicated, because your pupils don't close fast enough and let in too much light. How Can You Fix Red Eyes In Pictures? Digital photos. If you are using a digital camera, you can upload the photos to your computer and then edit out the offending red eyes with the "red eye removal tool" in a picture-editing program. Some applications have a "drag and drop" feature where you can pick up a color from the iris of the eye and place it over the parts of the eyes appearing red; other programs automatically correct the offending red eye for you. Smartphone photos. Apps are available for Android, iOS (iPhone and iPad) and Windows phones that allow you to fix red eyes in photos. Basically, if a face is detected in a photo and there's red eye, you can use an auto-enhance tool to remove the redness and make the subject's eyes appear more natural. Also, most image-editing apps have a tool that allows you to manually fix red eye probles in smartphone photos. Printed photos. If you've developed your camera film and notice red eyes in pictures, you can still get rid of the dreaded "devil eyes." The easiest way is to use a special red-eye remover pen. You also can scan the photo to your computer and use a photo-editing program to fix red eyes. Why Do Only Some People Get Red Eye In Group Pictures? This depends on numerous factors. The most likely reason is that the people without the red-eye effect were not looking directly at the camera or they were not in direct line with the camera's built-in flash. What Does It Mean If You Have Only One Red Eye In A Photo? Having only one red eye in a photo is most likely due to the fact that one of your subject's eyes (the one appearing red in the picture) was staring directly at the camera lens, while the other eye was positioned at a slightly different angle that didn't allow light reflecting from the retina to enter the camera lens. Rarely, red eye in only one eye may indicate an eye disease such as a tumor or cataract. If you consistently have only one eye that is red in photos, visit your eye doctor for a comprehensive eye exam. If your child has only one red eye in pictures, read the FAQ on children and red eyes below. I Have Red Eye In Every Photo! Is There Something Wrong With Me? Chances are, the reason you have red eye in every photo is that you stare directly into the camera lens when you pose for pictures, enabling the light to reflect off the highly vascular retina straight back at the camera at a direct angle. Try to avert your gaze slightly during photos so you aren't looking directly at the lens of the camera. Additionally, stare at something bright right before being photographed, to constrict your pupils; the more open your pupils, the stronger the red-eye effect will be in photos. Some people naturally have larger pupils than others — regardless of what particular light they are in. If you have larger pupils, you're more likely to have red eyes in pictures. in your eye. People with light-colored eyes such as blue or green eyes tend to have less melanin and may get red eyes in photos more often. For more information, read the FAQ on red eyes and eye color below. My Child Has Red Eyes In Photos. Is This Normal? It's normal for children to have red eyes in pictures. 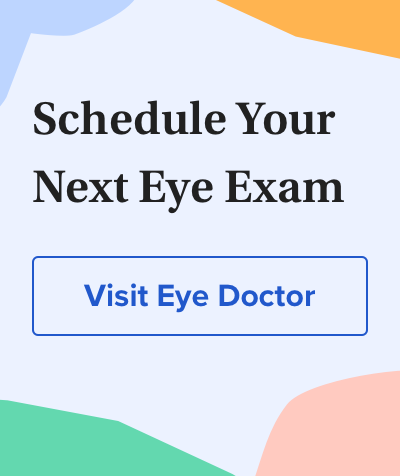 In fact, it's a good sign that your child's retina is unobstructed and their eyes are healthy. What's more, a child will be more likely than an adult to display red eyes in photos, because children's eyes naturally dilate faster in low-light environments. There are, however, certain things to be mindful of when it comes to kids and the red-eye effect. For example, if only one of your child's eyes is red in photos, it's possible he or she has misaligned eyes, or strabismus. A white or yellowish glow, called leukocoria, in one eye could signal a serious eye condition or disease, including cataract, Coats' disease, eye infection and retinal detachment. A white or yellow reflex (eye shine) also could be a warning sign of a rare but serious childhood cancer called retinoblastoma. If you notice anything unusual about your child's eyes in photos, always notify your eye doctor to rule out a serious children's vision problem. Are Red Eyes In Pictures Caused By Eye Color? No. The iris — colored portion of your eye — has little effect on how likely you are to have red eyes in photos. and the choroid of your eye, that controls how much of the light is reflected back out, and not the iris. Melanin absorbs light, so the more melanin you have, the less red light you will reflect back at the camera. Fair-skinned and blue-eyed people tend to have less melanin and typically have red eyes in photos more often than those with dark skin and brown eyes. Why Do My Dog's Eyes Shine Different Colors In Photos? Eyeshine, or the white, yellow or green glow reflected in many animal eyes, including dogs, cats, deer, horses and raccoons, is caused by the tapetum lucidum, a special reflective layer in the retina of many animals' eyes. When light shines into the tapetum lucidum, it causes the pupil to "glow" in a wide variety of colors. The tapetum lucidum acts like a mirror at the back of the eye and helps to improve night vision. When your dog or cat's eyes glow green or yellow in photos, you're seeing the reflection of the camera flash from their tapetum lucidum. The human eye does not have this additional layer; nor do some animals, particularly animals that are primarily active during the day and sleep at night. The color of your pet's eyes in photos can change from iridescent white or yellow to green, blue, pink or red, depending on the angle of the camera. Eyeshine is normal in animals, but if you notice a pale white or yellow glow in a human's eyes in photos, it may be a sign of eye disease and should be looked at by an eye doctor immediately. Why Do You See Spots After A Camera Flash? We've all experienced it: being dazzled and seeing spots after a bright light or camera flash has gone off in front of our eyes. The reason we see spots or have blurry vision after a sudden burst of light is because the excess light entering the eye has overstimulated the light-sensitive cells at the back of our eye. The retina has no time to properly convert the light rays and the brain is unable to process a clear image — and our vision is momentarily disrupted. Camera flashes and other occasional bursts of bright light are unlikely to cause any damage to your eyes in the long term, but overexposure to sunlight can. That's why it's important to always wear sunglasses when outdoors. If you see black spots and floaters when you're not exposed to a flash or sudden change in light, see your eye doctor. It could signal a serious eye problem.